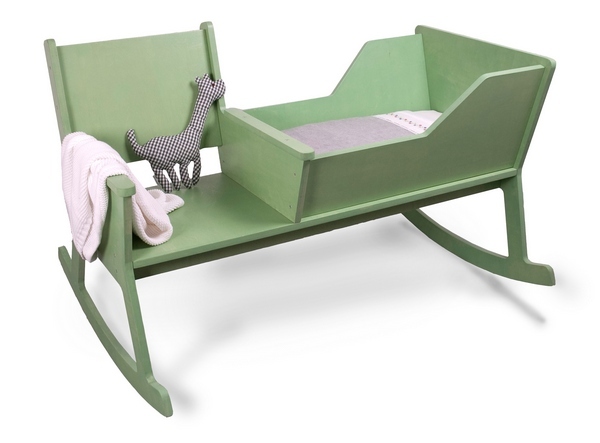 I first spotted a combined rocking chair and cradle years ago when I had a newborn and was in the thick of settling them to sleep every night. I immediately wanted one and was bitterly (yes, bitterly) disappointed to discover the design was only a concept. Not anymore. Dutch design team Ontwerpduo (Nathan Wierink and Tineke Beunders) have created the Rockid and it is much more than just a sketch on paper. I don’t have to sell the benefits of being able to rock a baby to sleep, hands-free. I think my husband and I would have been fighting over the task if we’d had the Rockid – sit, read a book and rock your baby to sleep – brilliant. Before parents with newborns get too excited, know that the Rockid is built in Holland and so the chances of actually getting one to Australia are slim (hope you are not bitterly disappointed).